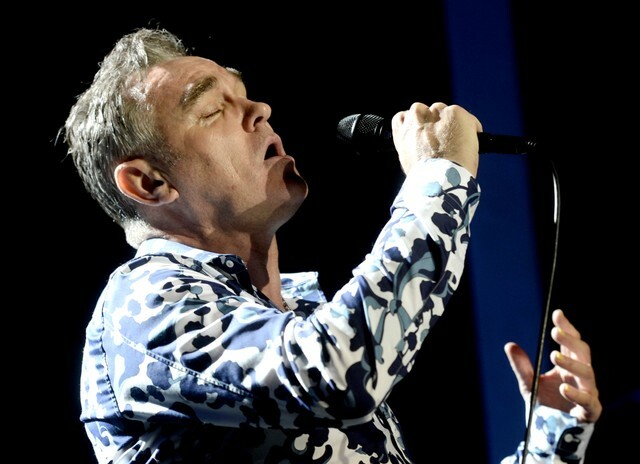 Morrissey, who is some people’s Bruce Springsteen, has announced a week-long Broadway residency, lasting from May 2-11. The run of shows at Lunt-Fontanne Theater will follow in the wake of the release of his upcoming ’60s and ’70s covers album California Sun, which features covers of Joni Mitchell, Bob Dylan, Roy Orbison (we’ve already heard his take on “It’s Over”), Dionne Warwick, and many more. According to a press release, the revue will feature everything from music from the early days of Morrissey and The Smiths to the California Sun material. The special guests on the new album include Grizzly Bear’s Ed Droste, Broken Social Scene’s Ariel Engle, Bille Joe Armstrong (yes, of Green Day), and more, but no word if any of them will be swinging by. The poster reads “Morrissey – singing the songs that made you cry and the songs that saved your life.” If the “you” in that sentence is you, this show may be for you. Tickets go on sale March 8; no confirmation of the presumably not-insubstantial prices yet. 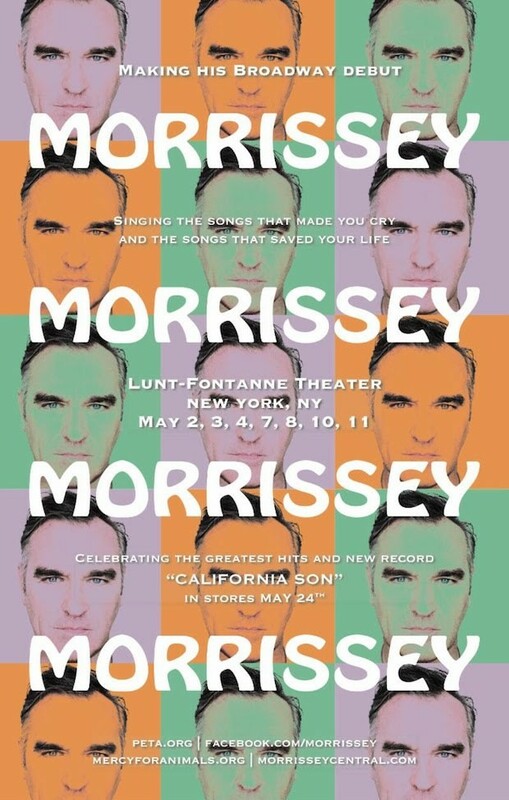 Check out the poster for Moz’s Broadway sojourn below.